Novo uses patented Adaptive Audio Technology™ to automatically monitor and adjust your volume based on your surroundings. 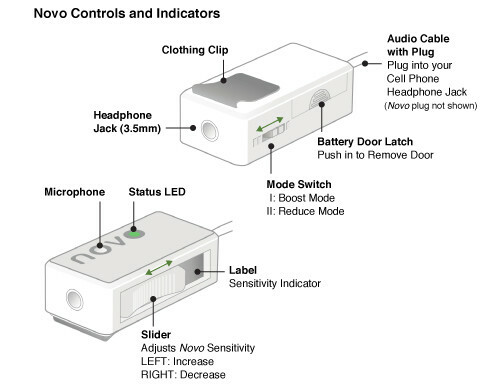 With its state-of-the-art MEMs microphone, integrated with its hardware platform synced with software algorithms, Novo listens to your environment and adapts your audio in real-time, to ensure bettering hearing quality. 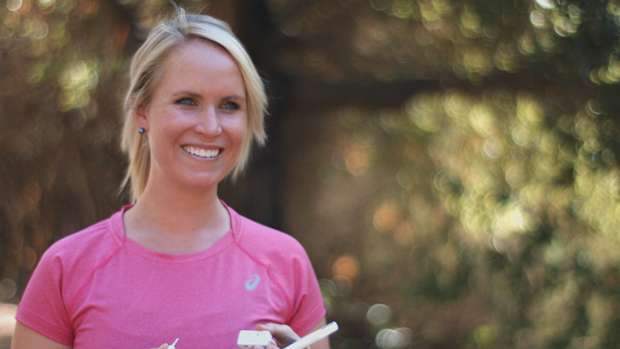 Novo improves your hearing by either boosting or reducing your volume to provide an optimal listening experience. 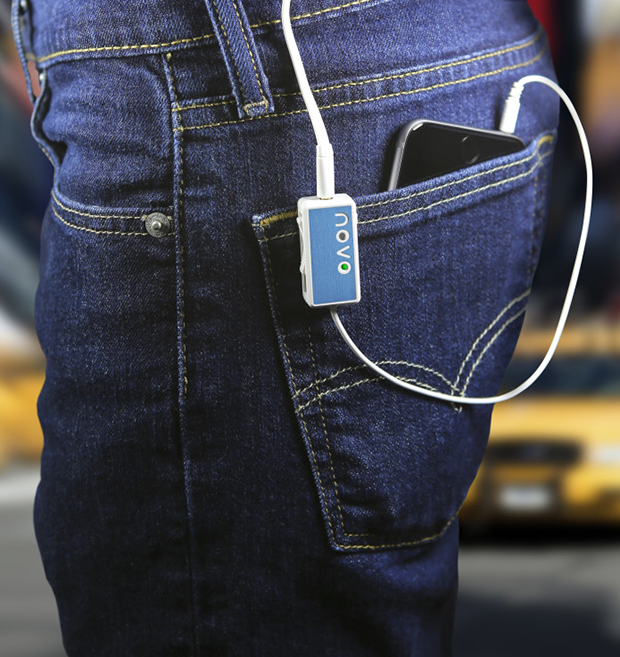 In “boost mode,” Novo will increase your call volume when noises interfere so you can hear the person you are talking with loud and clear. 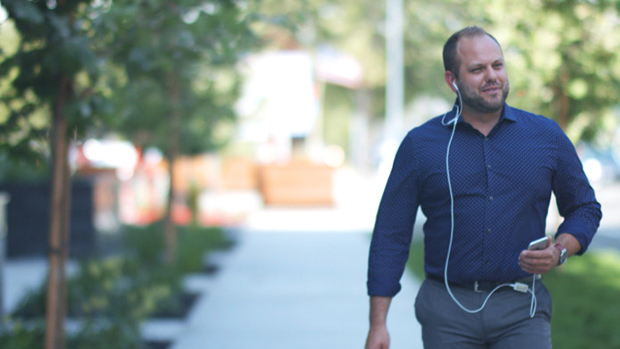 For example, if you are outside on a phone call and passing traffic makes it difficult to understand the person on the call, Novo will boost your volume to make it easier to hear. 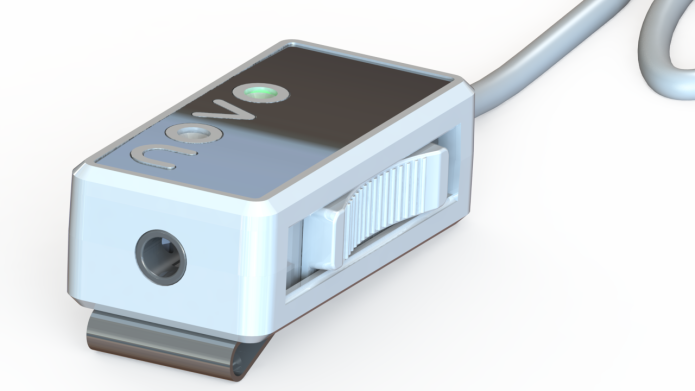 In “reduce mode,” you can enjoy listening to your favorite music in the office and if a workmate needs your attention and calls your name, Novo will “reduce” the volume of your music in real-time so you can hear the person trying to talk with you. This mode is especially helpful when you are outside being active and need to be aware of your surroundings to keep alert and safe. 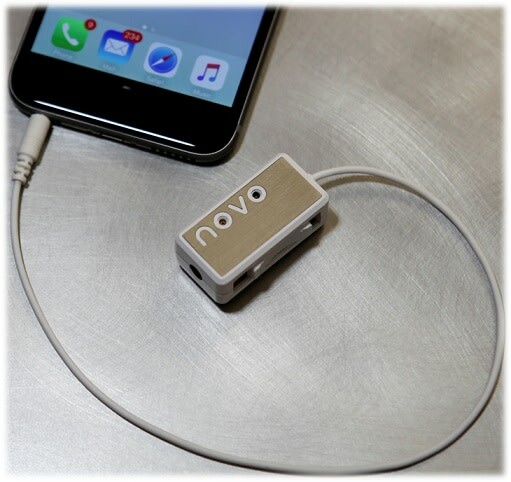 Novo connects to any iPhone, Android, mobile phone, MP3 or tablet with a standard 3.5 mm audio jack and uses two standard Type 13 batteries, providing over 200 hours of operation or approximately six weeks of use. 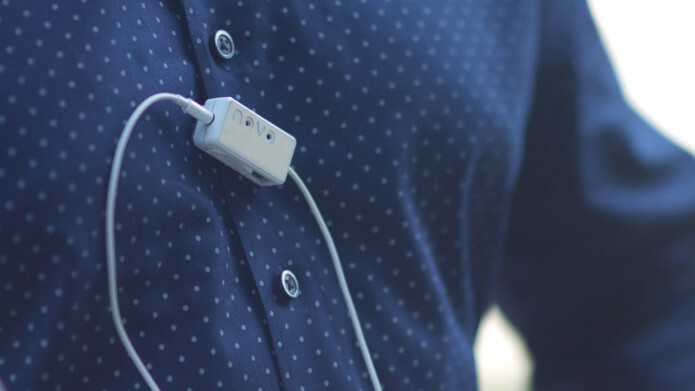 Novo also features an adjustable slider that allows you to personalize the microphone sensitivity to best suit your preferences along with a metal clip that attaches to your pocket, waist, or shirt.